CloudMounter is a reliable, all-in-one cloud manager designed to unite all cloud storages resources and web servers under one platform allows mounting them to your Mac as local disks. It enables connecting to Microsoft OneDrive, Google Drive, Amazon S3, Dropbox, FTP, SFTP, FTPS and WebDAV servers in Finder as if they are located on your machine. With an active Internet connection, CloudMounter gives you an unlimited Mac disk space. CloudMounter is a secure utility that keeps all files and personal data in your Clouds thoroughly protected. it encrypts them with the high-end encryption algorithm (AES256). So, in case if your account is stolen, no one gets access to your personal information - only CloudMounter user with a master password can see it. Viewing the storage from any other point of access (i.e. browser or native client) will show nothing but nonsense. CloudMounter allows encrypting Google Drive, Dropbox, OneDrive, Amazon S3 as well as the files on FTP/WebDAV servers. Besides encryption of your online data, all connections are performed through the native API of cloud services, which means that all your login credentials are not used by the app for anything else except for logging in appropriate accounts and of course are not shared with any third parties. All passwords for FTP, WebDAV and Amazon S3 accounts are securely kept in macOS Keychain. Unlike native clients, CloudMounter does not sync local information with your online accounts, it really mounts remote servers on your Mac, like removable disks. You can copy, move, open, download and upload files to your cloud servers, just as you would be doing it with your local folders. Grab special CloudMounter Coupon valid at official store! 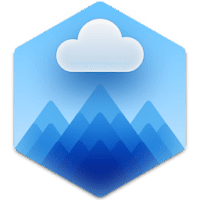 Disclaimer: Direct downloads for the lastest version of CloudMounter 2.1.345 for Mac are provided by the official software's author, we can't guarantee safety, availability or download speed. Moreover, we don't and we won't provide any pirated/illegal versions or tools. We recommend you to avoid it as these methods can harm your device. If you like the software, buy it to support the developers. (We provide software discounts for many worldwide brands).